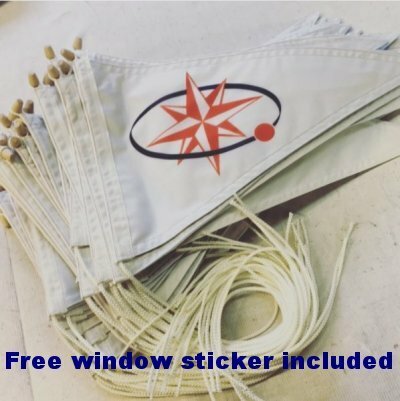 Let others know that you are part of the Jeanneau Owners Network by flying one of our new burgee pennants. These UK made flags are 19" by 12" (48cm x 30cm) manufactured by a flagmaker to HM the Queen, no less! Robustly made using knitted 115 gsm polyester fabric, triple ply construction, with double hem and complete with a wooden toggle and lanyard. All orders will also receive a free easy peel 80mm square JON logo window sticker. "Thanks for the great pennant, received mine in Germany yesterday! 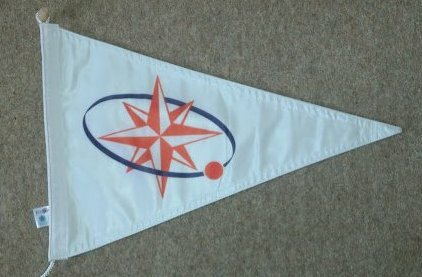 What a great quality material, that's quite a step above all other pennants I have bought so far!" "Great product. Got mine today. Thanks." 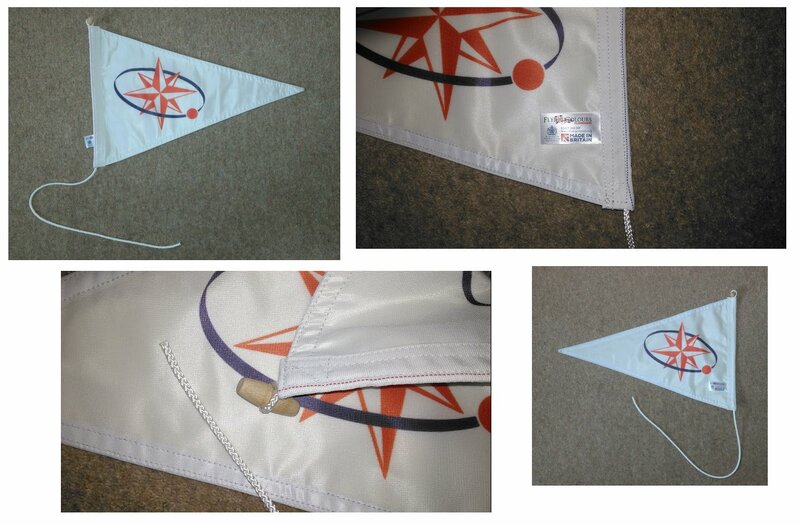 "I received the burgee today. It is beautiful. I think the three ply construction is exactly right to have the picture correct on both sides. The materials and construction are first rate." "Arrived safely and very quickly, thank you. And yes, I do like it, very classy unlike me!" "Received today and delighted. Thanks for the fast delivery." "Great quality burgees and a good size with superb service." Due to our extensive worldwide membership and complexity of stocking and then shipping multiple clothing items we do not currently offer personalised items such as T shirts, Polo's or Caps. However it is often simple and relatively inexpensive to have a local embroidery or custom garment printing shop produce exactly your requirements, even for one or two items. To assist this below are high resolution files of the Jeanneau Owners logo which you are free to use for personal use. The two files are the same image, but are saved in jpg and eps formats - these are the type of files that most printers and designers will need for high quality reproduction.